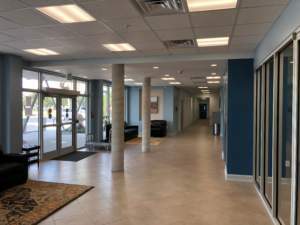 “I never imagined living in such a place,” a teary-eyed elderly man remarked as he moved his few possessions into the brand-new Pollywog Creek Senior Housing this past month. 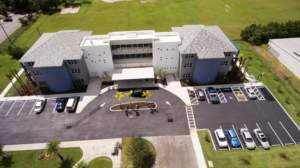 He was joined by 28 other very-low income seniors as Rural Neighborhood’s HUD 202 Supportive Housing for the Elderly project opened its doors in rural LaBelle. Ted Hoffman, project architect, created a building with unique space and natural light that intrigues its residents. “I respect that most residents will call this home for the rest of their lives. I envisioned space that made its residents curious — unique windows, curved walls and colorful interiors.” Pollywog Creek Senior sits alongside Pollywog Creek Commons, a 62-unit family rental community also designed by Hoffman. The two surround a traditional “commons” and offer residents of all ages a true sense of community.